At least ten people, including five children, have been killed in an attack on a college in South Sudan teaching Theology, Education and Business, according to the Christian charity Open Doors International. Three guards and five students – one secondary and four primary school pupils – were among the victims of the 14 May attack on the Emmanuel Christian College (ECC) in Goli, in Yei county. A displaced father and son, who had taken refuge there after fleeing Mundri, were also killed. The attackers also raped the 14-year-old daughter of a staff member, Open Doors reported, and vandalised and looted college offices, single-staff houses, classrooms and the library. 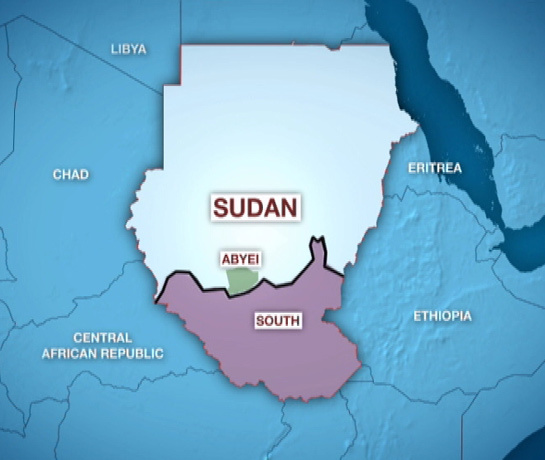 Witnesses reportedly told Open Doors the attackers were from the Sudan People’s Liberation Army (SPLA), the main force which formerly fought Africa’s longest-running civil war for independence from Sudan in the north. After peace was agreed between north and south Sudan in January 2005, the SPLA’s political arm, the Sudan People’s Liberation Movement (SPLM), in turn formed a government under President Salva Kiir, and his deputy, Riek Machar. However a political feud between the two men then degenerated into political and ethnic rivalries: Kiir is a Dinka and Machar is a Nuer. It is not clear why government-backed forces might have attacked the college. The ECC management, which stresses the inter-tribal, inter-ethnic nature of its college, has reported the incident to state authorities and is working with them on next steps, Open Doors said. ECC is a training institution that was set up by Open Doors in partnership with the Sudan Presbyterian Evangelical Church in 2001. Since predominantly Christian South Sudan gained its independence from the Islamic Republic of Sudan in the north in 2011, Open Doors has been gradually withdrawing from the world’s newest country, and had handed over ownership of ECC to the local Church. Since its independence from Sudan in 2011, South Sudan has been mired in conflict. More than 2 million people were displaced during two years of civil war, primarily between the Kiir and Machar factions, which officially ended in 2015. Although the warring factions signed a peace deal, the fighting continued. In 2016 a UN commission on human rights warned of “ethnic cleansing” taking place in the country and in 2017 a famine was declared in parts of South Sudan. South Sudan (Morning Star News) – A group claiming affiliation with the Islamic State (IS) announced the beheading of a Christian from South Sudan in a video posted on Sunday (Oct. 18). In the video, which a group calling itself the Islamic State in Cyrenaica (eastern coastal Libya) released, the victim is identified in an inaudible voice, possibly as Kual Gai Wek, a native of South Sudan who has been living in Libya since 1989. His name does not appear to be Mohamed Al-Ghaid, as reported elsewhere. The video also shows an enemy soldier, said to be Faraj Al-Saiti, being shot to death in the same area as the beheading. The identity of the South Sudanese Christian has not been verified, and it is unclear when the executions took place. The IS figure accuses South Sudan of mistreating Muslims despite an interim constitution that defines the country as a secular state. The victim is then forced down to his knees and beheaded. Christians in South Sudan expressed their condolences and asked God to forgive the killers. IS was shown executing Christians in Libya on two occasions earlier this year. In a video released April 19, IS is seen executing 28 Ethiopian Christians. The Christians were divided into two groups of men being marched to their place of execution with their arms bound behind their backs. One group is held at a coastal area identified as “Wilayat Barqa” (Barqa State) in Libya, and the other is located inland in the desert scrub brush of “Wilayat Fazzan” (Fazzan State), also in Libya. The men in the desert are shot in the back of their heads. The video switches to the seaside, where the men are beheaded. In February, IS released a video of the execution of 21 Christians, all but one of them Egyptian. The Ethiopians and the Egyptians who were executed on the beach appear to be executed in the same general area. IS late last month killed three Assyrian Christians, presumably in Syria, according to an execution video released Oct. 7. In the video, the group threatened to kill some 200 other Christians in Syria unless it receives a ransom of $50,000 each for their release. The videoed execution is thought to have taken place on Sept. 23, during the Muslim holiday of “Festival of the Sacrifice,” according to Arabic-language news media. (Morning Star News) – Two South Sudanese pastors arrived home in Juba from Khartoum, Sudan today after an eight-month ordeal of imprisonment, fabricated charges of capital crimes and a ban on leaving the country. The Rev. Peter Yein Reith and the Rev. Yat Michael were acquitted of the crimes calling for the death penalty on Aug. 5 but were prevented from boarding a plane out of the country the next day. Sudan’s notorious National Intelligence and Security Services (NISS) had ordered the travel ban when they were initially detained – Michael on Dec. 14 and Reith on Jan. 11 – and gave the orders to the airport personnel. Attorneys for the two pastors have been working for their release since then, but it was not immediately clear how they were able to leave the country today. Michael and Reith were transported from Juba International Airport to a church in Hai Jebel in Juba, where they attended a thanksgiving service. “Thank God for their arrival home,” the wife of Michael told Morning Star News after the service. South Sudan Presbyterian Evangelical Church (SSPEC) leaders welcomed the pastors, who expressed their gratitude to Morning Star News amid the cheering congregation. An international outcry erupted over their weeks-long incarceration without charges after Morning Star News on Dec. 28, 2014 broke the news of Michael’s arrest, and on Jan. 20 published the first account of Reith’s arrest. “Thank you very much, Morning Star News, for your great role which led to our release from jail,” Reith said. The SSPEC pastors had also been charged with spying (Article 53), punishable by death, life imprisonment or prison and confiscation of property; undermining the constitutional system (Article 50), punishable by death, life imprisonment, or imprisonment and confiscation of property; disclosure and obtaining information and official documents (Article 55), punishable by two years in prison or a fine; blasphemy/insulting religious creeds (Article 125), punishable by one year of imprisonment or a fine or no more than 40 lashes; and joint acts in execution of a criminal conspiracy (Article 21). Agents from NISS, said to be manned by hard-line Islamists, arrested the pastors. Michael, 49, was arrested after encouraging Khartoum Bahri Evangelical Church; the church was the subject of government harassment, arrests and demolition of part of its worship center as Muslim investors have tried to take it over. Reith, 36, was arrested on Jan. 11 after submitting a letter from SSPEC leaders inquiring about the whereabouts of Michael. Police in North Khartoum on Dec. 2 beat and arrested 38 Christians from the church that Michael encouraged and fined most of them. They were released later that night. Harassment, arrests and persecution of Christians have intensified since the secession of South Sudan in July 2011, when Sudanese President Omar al-Bashir vowed to adopt a stricter version of sharia (Islamic law) and recognize only Islamic culture and the Arabic language. The Sudanese Minister of Guidance and Endowments announced in April 2013 that no new licenses would be granted for building new churches in Sudan, citing a decrease in the South Sudanese population. (Voice of the Persecuted) Authorities at the Khartoum airport stopped South Sudanese pastors, Yat Michael Ruot and Peter Yen Reith from leaving the country after a court had cleared them of spying charges and ordered their release. Reports claim when the pastors went to the airport to travel abroad, they were stopped and told they were banned from travelling. It is it not known how long the travel restrictions will last. Their attorney’s put in a request to the judge to have the travel ban lifted. But based on the fact that the National Intelligence Security Service (NISS) originally levied the travel ban, it is uncertain that the judge will have authority to lift it. Their is a review hearing scheduled for Sunday. Michael was arrested by the notorious (NISS) agents in December after encouraging his church to be strong. NISS held Yen in January after he sought the whereabouts of Pastor Michael. South Sudan split from Sudan in 2011, six years after the signing of a peace deal that ended 22 years of bloody civil war. Many now fear false charges and their new battle stems from officials wanting churches to relinquish large tracts of land for the purpose of investments. Though they have been released, Pastors Michael and Peter are not completely free. With the latest development in their case, they are still in danger and need your voice again. Please continue to pray and speaking out. Visit www.savesudanpastors.com and sign the petition, today. Please share and encourage other to join you! 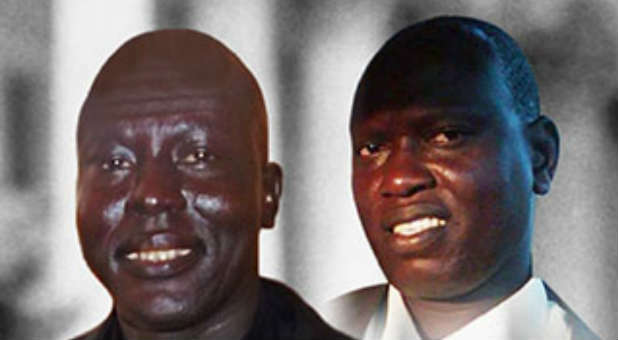 (World Watch monitor) Two South Sudanese pastors on trial in Sudan for, amongst other things, “spying” have been freed by the Judge of Khartoum North Central Court, Ahmed Ghaboush. Had they been found guilty of this, they could have faced the death penalty. Yat Michael had taken his child to Khartoum for medical treatment when he was arrested on 14 December, 2014, after being asked to preach at a local church during his stay. Peter Yen was arrested in January 2015 when he went to enquire about Michael’s whereabouts. The two men were then reported as missing until Sudanese authorities revealed that they were being held in prison for “crimes against the state”. The DPA German news agency reported that the judge found Yat Michael guilty of a “breach of the peace” (Article 69) and Peter Yen (also known as David Reith) guilty of “managing a criminal or terrorist organisation” (Article 65). But he ordered both be released, as they had already served the sentences for these offences through their eight-month stay in prison. Experts said there were fears that they would have been convicted of the more serious charges; it was felt the judge was under pressure to balance local expectations on him to uphold the principles of the Sharia-governed state, with adherence to international human rights standards. The families told Radio Tamazuj, an online independent news service broadcast in Sudan and South Sudan, that they were “delighted”. The last time the men were in court was 23 July, when their legal team submitted their written closing arguments. Observers from a number of foreign embassies were present that day. An official from the Sudanese Ministry of Justice told one of the pastors’ lawyers that the extent of outside interest had led the government to take a very close interest in the case. Thabith Al Zubir, one of the lawyers defending the pastors, asked the judge on 23 July to drop the case because the defence had refuted all the accusations levelled against the two men, and because there was no clear evidence against them. The defence lawyers had also argued that their clients were arrested illegally by the National Intelligence and Security Service (NISS). They said Pastor Yat Michael did not violate Sudan’s law when he preached in Khartoum Bahri Evangelical Church on 14 December, because he was just carrying out his duty as a pastor. “To urge believers to be zealous for their church is not an insult against God,” one lawyer said, referring to NISS arresting Yat Michael after his sermon in the church in the Bahri area, just north of the Sudanese capital. “Justice requires that you don’t judge simply because you [suspect], without any concrete evidence,” the lawyer said. In addition, the lawyers raised concern over the fact that Yat Michael and Peter Yen were being tried illegally for insulting religion. Lawyer Al Zubir had called on the court to respect Sudan’s constitution above the powers of the National Intelligence and Security Service to arrest and detain any person for a long period of time without trial. The lawyers concluded that the court should accept their defence, and drop the charges for lack of evidence: “These charges are built on sand,” they concluded. “The charges included: complicity in committing crimes with other bodies (Article 21), spying for outsiders (Article 53), and collecting and leaking information to the detriment of Sudanese national security (Article 55). The charge of undermining the constitutional system (Article 50) has been “dropped”, reported Radio Tamazuj after the 23 July hearing. Other charges included promoting hatred amongst sects (Article 64); breach of public peace (Article 69); and offences relating to insulting religious beliefs (Article 125). Article 53 carries the death penalty or life imprisonment. At a previous hearing on 14 July, the pastors had stated that some of the “incriminating” documents allegedly found on their computers were not theirs. These included internal church reports, maps showing the population and topography of Khartoum, Christian literature, and a study guide on Sudan’s National Intelligence and Security Service (NISS). The pastors acknowledged having the internal church report, though both said they had never seen the study guide on NISS until it was presented in court. They said they had no knowledge of how it got on the computer. The defence team called two witnesses. One, ex-army general and 2010 presidential candidate Abdul Aziz Khalid, testified that the maps presented by the prosecution were available to civilians and not classified; therefore the espionage charge against the pastors was without basis. The other witness was an IT expert, who testified how easy it would have been for others to plant documents on the men’s computers without their knowledge. The pastors had again been denied access to their legal team ahead of the 14 July hearing, despite an earlier direction that they be allowed 15 minutes with their lawyers. (At the previous hearing on 2 July, the judge had permitted the defence team only 15 minutes with the pastors in order to prepare their case). The pastors have also had little access to their families, who were only permitted to visit them in the high-security Kober Prison after they had been held for six months. On 1 July, Mohaned Mustafa – one of the lawyers representing Michael and Yen, together with the Evangelical Bahri Church pastor Hafez – was briefly detained when challenging a government employee who was overseeing the destruction of parts of the Bahri evangelical church complex. The employee was attempting to destroy a part of the complex that was not within the government order for destruction. It is still not known when the case against the two lawyers will be brought to court. This is not the first time the Sudanese government has attempted to clamp down on the Evangelical Church of Khartoum. On December 2, 2014, the church was raided by handfuls of police officers, who arrived in six patrol cars. They beat a number of peaceful sit-in demonstrators with pipes and water sticks and arrested 38 eight members of the church. After the raid, 20 of the people arrested were sentenced to a fine of 250 Sudanese pounds (roughly $40) after being convicted without legal representation under Articles 65 (criminal and terrorist organisations) and 69 (disturbance of public peace) of the 1991 Sudanese Penal Code. The charges were dropped against the remaining 18 individuals. The sit-in demonstrations were prompted by a corruption scandal, including the sale of church land to investors. In 2010, the Evangelical Church of Khartoum in Bahri elected a Community Council to control the administration, assets, and investments of the church. The Community Council was plagued by accusations of corruption. The church attempted to resolve the conflict with the church’s General Assembly electing a new Community Council. But the previous Council refused to recognise the new Council and hand over institutional documents. The government of Sudan intervened on 28 April, 2014 and re-appointed several members of the old Community Council. Despite not having an official mandate to sell church properties or engage in investment on behalf of the church, these members sold a substantial amount of property. Yat Michael was arrested after preaching at this church two weeks after the police raid and partial demolition of the church. During his sermon, he condemned the controversial sale of the church land and property, and the treatment of Christians in Sudan. The arrest, incarceration and extended trial of Michael and Yen illustrates the pressure Christians face in the Muslim-dominated region. Praise God these pastors have been released! Thank you to all of you who PRAYED, spoke out, shared their story and signed the petitions. God bless you!